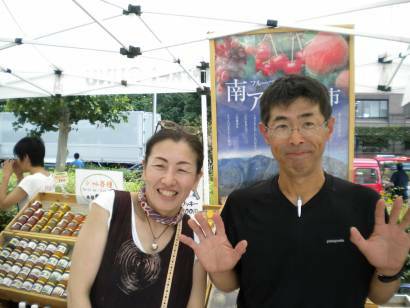 Yamanashi's Southern Alps Farm Field Trip NPO at UNU Market! I'm up in Hokkaido at the moment chasing down some good vegetables and farmers markets there, but there is certainly a nice handful of markets in Tokyo this weekend to chase away those summer blues. Cool your heels at one of these lovely markets with some good food, good conversation, and more than a little fun! Know of a market not listed here? Give me a shout and I'll get it on the list. Surely, there's more than enough veg to go around.